I take piano lesson twice a month. 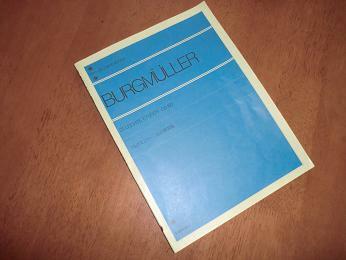 And, I have been suffering from practicing the "Burgmuller 25 etudes". Especially the eighth etude " La gracieuse" was hard for me. Though I could play it slowly, as soon as I changed the speed just a little, I became a bad player. Oh,no! I was sad to look at my fingers which did not work smoothly. My piano teacher is very nice and praises me every time so as not to discourage me. However, the tenth etude "Tendre fleur " which I am practicing now is comparatively easy for me. The fingers of both my hands work well. Too good to be true! Happiness and sadness come to my heart alternately. Rightly or wrongly, my blood circulates through the body hard during twenty or thirty minutes a day. When our domestic condition changes sooner or later, I will not have time to play the piano. Until then, I am going to enjoy practicing. Phew!